Professional boxer Emile Griffith was born February 3, 1938 on the island of St. Thomas, in the United States Virgin Islands. He moved to New York before he became a teenager. Griffith was 14 years old and working at a hat factory, when he asked his boss if he could remove his shirt due to the heat. The boss noticed his athletic physique and took Griffith to the gym of former boxer and trainer Gil Clancy, where he began training. Griffith entered the professional boxing ring in 1958 and soon afterwards won the New York Golden Gloves championship. Three years later on April 1, 1961 he won a bout against Benny “The Kid” Paret, capturing the Welterweight Title by knockout in the 13th round. Griffith faced Paret in a rematch on March 24, 1962. At weigh-in the day before, Paret called Griffith a “maricon,” the Spanish slang term for a gay man, which angered Griffith partly because he had privately struggled with his sexuality in his younger years. Later in his life, however, he would openly engage in intimate activities with both sexes. In the 12th round of a televised fight held in Madison Square Garden, Griffith delivered punishing blows that rendered Paret unconscious. Paret died from his injuries ten days later. The win made Griffith the first world champion boxer for the U.S. Virgin Islands. In the aftermath, investigations were held and boxing disappeared from ABC-TV for several years. Six-ounce gloves were outlawed and boxing rings were provided with better padding and with four ropes instead of three. Griffith moved up to the middleweight division and lost to Reuben “Hurricane” Carter by a first-round knockout in Pittsburgh on December 20, 1963. Griffith fought many boxing legends in his career including Luis Rodriguez, Nino Benvenuti, and Carlos Monzon. In 1971, Griffith met and married Mercedes Donastorg, also from the Virgin Islands, and adopted her daughter. The couple later divorced. Griffith lost 14 of his final 23 matches, and retired from boxing in 1977. Over his 19-year career Griffith fought 10 world champions and boxed a record 339 title rounds. His lifetime record is 85 wins with 23 by knockout, 24 losses, and 2 draws and he headlined Madison Square Garden 23 times. After his retirement Griffith become a Corrections Officer in Secaucus, New Jersey and a boxing trainer. In 1979 he temporarily moved to Denmark to coach the Danish Boxing Team for the 1980 Olympics. In 1990, Griffith was named to the World Boxing and International Boxing Halls of Fame. Two years later he suffered a brutal beating by a mob after leaving a gay bar in downtown New York. Griffith was almost killed and spent four months recovering in the hospital from broken ribs, a broken jaw, spleen damage, kidney damage, and dementia. Griffith was portrayed briefly by Terry Claybon in the 1999 movie The Hurricane, and was also profiled in the 2005 documentary Ring of Fire: The Emile Griffith Story. An opera based on his life titled Champion was premiered by the Opera Theater of St. Louis, Missouri on June 15, 2013, and today a public ballpark in St. Thomas, Virgin Islands carries his name. 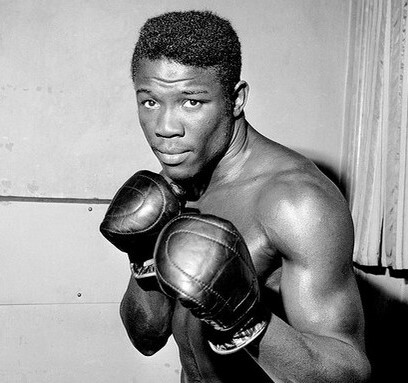 Emile Griffith died in his sleep at the age of 75 on July 23, 2013 at a care facility in Hempstead, New York. Donald McRae, A Man's World: The Double Life Of Emile Griffith, (New York: Simon & Schuster, 2015); Ron Ross, Nine Ten...and Out! The Teo Worlds Of Emile Griffith, (New York, Authorhouse, 2008); Mitch Abramson, “Ex-boxing Champ Emile Griffith, who struggled with sexuality and killing Benny Paret, dies at 75,” New York Daily News, http://www.nydailynews.com/sports/more-sports/six-time-boxing-champ-griffith-dies-75-article-1.1406943. Donald McRae, A Man’s World: The Double Life Of Emile Griffith, (New York: Simon & Schuster, 2015); Ron Ross, Nine Ten…and Out! The Teo Worlds Of Emile Griffith, (New York, Authorhouse, 2008); Mitch Abramson, “Ex-boxing Champ Emile Griffith, who struggled with sexuality and killing Benny Paret, dies at 75,” New York Daily News, http://www.nydailynews.com/sports/more-sports/six-time-boxing-champ-griffith-dies-75-article-1.1406943.